The endeavour to lead an all raw vegan lifestyle can seem overwhelming to many. The overriding reason being that of food, not only from the ' What will I eat? ‘aspect, but moreover, ' How will I afford this? ‘, and 'How much do I need to eat? " One of my favorite comfort foods is Fried Cabbage. Something about it just fills my belly up with all types of warm feelings and can make me feel better even on the gloomiest of days. There are many ways to enjoy cabbage, you can cut it into thick slices, grill them or roast them for cabbage steaks. You can Use the leaves as a shell for yummy fillings and make cabbage rolls. Or you can just chop it up and fry it in your favorite skillet. For this recipe, a cast iron skillet is the best. This is the way that my Step Mother makes it and it is the best by far. If you do not own a cast iron skillet you can also use a regular skillet it will still taste wonderful! I know I've been absent for a while, my MacBook quit on me and while I am waiting on my new one to arrive I have to use my iPad. 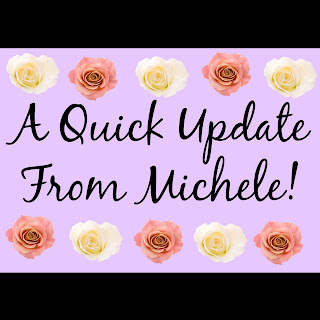 Besides my recent technical difficulties I would like to talk about some of the things we will be doing in the new year. One of the things we will be doing is #loveyourself2017 and it's gonna be huge!! We currently have 3 love yourself products available in the Zazzle shop (see below) and we are currently working on a very special e-book that will also be for sale as paperback! We want to encourage everyone to develop a healthy loving relationship with themselves, and spread the love to others. Use the hashtag #loveyourself2017 on all of your photos and updates on social media! Lets start a revolution of self-love! I'm sorry this post is short, my computer will be here hopefully tonight!!! Hey guys! 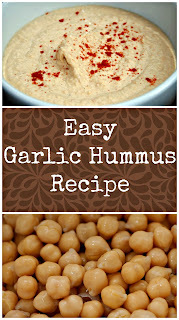 Today I wanted to share with you a hummus recipe. Hummus is one of my go-to snack items and it can be so expensive to buy. I was asked to make it for a family gathering not that long ago and they suggested that I try to make it from scratch. After doing a bit of research and asking around I realized that it is so easy to make! I was able to make a big batch of it in 15 minutes and it cost me $2.00 to make double the amount that I usually get from the store for $5.00. I thought that this was so awesome that I could not share it with you guys! This is seriously a skill every vegetarian and vegan should have. Even if you are not a good cook, you could figure this one out pretty easily. This recipe is a pretty basic recipe. You can add other ingredients to make other flavors. For example, you could add roasted red peppers to it or you could add lemon juice to it. If you search there are thousands of things you can add to your hummus. 1. Movement 2. Communing with our Intercessor daily. 3. Diet ~ Fresh fruits and vegetables, if not in entirety, as many as possible, or introduce slowly, incorporating food combing guidelines. 4. Skin Brushing 5. Hydration 6. Elimination of chemical products, ' foods (packaged, cooked and even frozen) ’, commercial deos, shampoos, cleaning agents, perfumes, and the like. 7. Colonics, enemas. 8. Dry Far Infrared Sauna sessions. 9. Fasting: water, dry. 10. Reducing to elimination of Stress. Good morning, good afternoon, good evening! Today I wanted to share a vegan zucchini bread recipe with you. Zucchini bread is one of my Mothers favorite and we always had it this time of year. It is one of my holiday favorites. Since I am phasing eggs out of my diet, I thought it would be super fun to experiment with vegan zucchini bread recipes. I tried on with a flax seed "egg" and one with bananas. The banana one was voted the better out of the two in my house. My husband absolutely loves banana bread so he also really enjoyed this bread. It is almost like a combination of banana bread and zucchini bread and taste absolute heaven. You can not even tell it is vegan, which makes a perfect dish to share with others. For this recipe, I used a circle baking dish because I have misplaced my bread baking dish. This recipe works in pretty much any size baking dish you have!